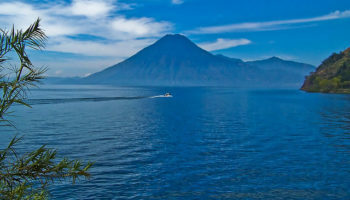 The Central American country of Guatemala is filled with traditional native villages and colorful markets. If you can tear yourself away from its present charm, you’ll find a past that is even more awesome: remains of the Mayan cities that once dominated the country. The Mayans were one of the greatest early civilizations, and their technology will astound you even today. But don’t stop your learning adventure at must-see Tikal. Other Mayan ruins in Guatemala are just as impressive and, because they’re not as well known, not overrun by travelers. Some, such as Yaxha and Topoxte, are close enough together they can be visited on the same trip. Surrounded by rainforest in the Peten region, El Ceibal is noted for the outstanding artworks and hieroglyphics the Mayans carved into stelae made from hard limestone. Many of the stelae were carved after 800 at a time when the rest of the Mayan world was collapsing. 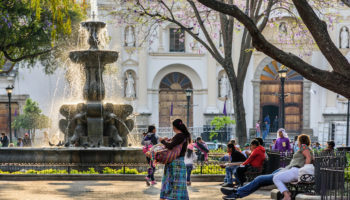 The art is detailed and considered beautiful, giving El Ceibal the nickname of “Mayan Art Gallery.” Besides the stelae, carvings can be found on stairways and altars. Located on the Pasion River, El Ceibal had about 10,000 residents living in hundreds of houses. Buildings, including monuments, residences and pyramids, are divided into three groups. The ruins at Zaculeu, a capital of the Mam Mayans, are astoundingly impressive, even though a 1940s restoration effort obscured much of their magnificence. Zaculeu was both a religious center and a fortress. It was somewhat successful as a fortress until the Spanish came in 1525 and starved the Mam into surrender. The Mam built their pyramids, temples, palaces and other buildings around plazas. The buildings reflect the Mam and K’iche’, an earlier conqueror, archtectural styles. 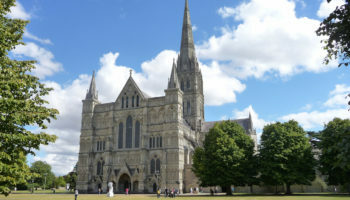 Most of the buildings were constructed between the third and seventh centuries. 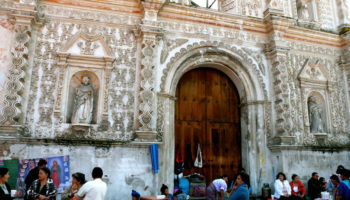 Located close to Huehuetenango, Zaculeu is still used as a ceremonial site today. Nakum is a good place to see archaeologists at work, since excavations are taking place on what is the Mayans ‘largest research project. Most of the excavation is taking place in the south group – the north group of buildings remains relatively unexplored y comparison. In recent years, jade artifacts have been found at Nakum, located in the Peten region. Discoveries so far also include a palace with 44 rooms, an elevated acropolis with great views of other important buildings, stelae and a central plaza. Nakum, on a major trade route, was at its peak from the eighth to 10th centuries. 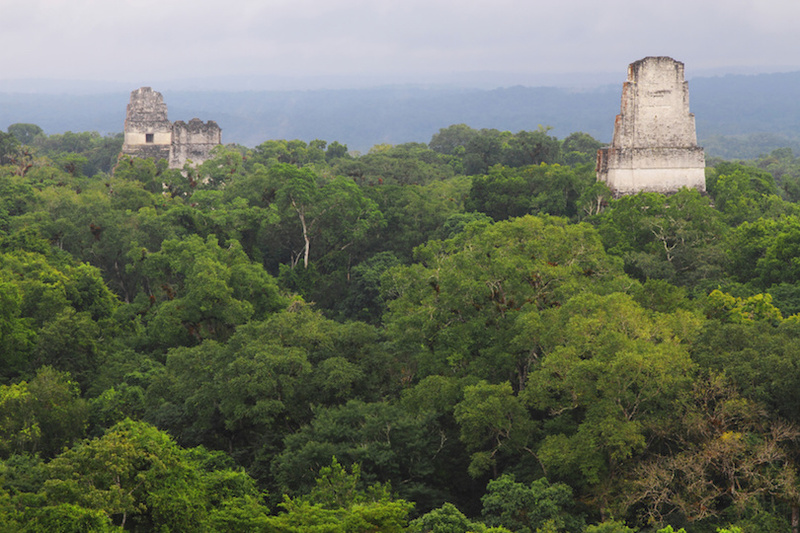 If your journey into Mayan ruins stops at Tikal, you’ll be missing out on something special: Uaxactun. Just 20 km (12 miles) away via a dirt road lies the oldest astronomical observatory in Mayan civilization. It was a place where ceremonies were held; one temple held stucco masks. Sometimes known as Waxaktun, the ruins of Uaxactun may date as far back as 1000 BC. The last inscribed monument in Uaxactun was dated in 889. Uaxactun is located in Tikal National Park but doesn’t get anywhere near the tourists the Tikal ruins do because few people know about it. Now you do. Quirigua can be found in southeastern Guatemala along the Motagua River and on several important trade routes of the time. Inhabited since about 200 AD, most of Quirigua’s monuments were constructed in the eighth and ninth centuries. The centerpiece of Quirigua Archaeological Park is the Great Plaza, the largest known Mayan public space. Quirigua is well known for its sandstone monuments that were carved without metal tools. These stelae are important because of the information carved into them: hieroglyphic texts with information such as important dates, events such as eclipses and historical data as well as Mayan politics. 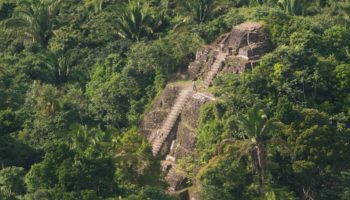 El Mirador is frequently referred to as the “lost city of the Maya” because this former Mayan capital is now overrun by jungle. At one time it was the largest city (estimates are from 100,000 to 250,000 people) in Mayan civilization. Because of the difficulty in getting there, it’s been little explored, though one of the largest pyramids in the world was found here. 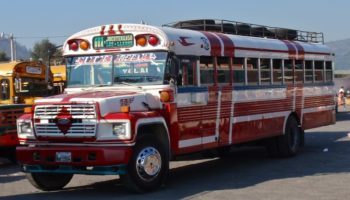 Getting to El Mirador is described as an adventure, since it involves an overland journey of two to three days through dense jungles to reach the city that was founded about 2000 BC. The ruins of Iximche are impressive. They include palaces, pyramids, temples where human sacrifices were made, and a couple of ball courts. Some Mayan ceremonies and rituals are still performed here today, so perhaps you’ll get lucky on your visit to this western highlands site. Ancient murals have been found in the ruins. The capital of one Mayan group, Iximche became the first capital of Guatemala when the Spanish conquerors arrived. The Kaqchikels and the Spanish later had a falling out, so the Mayans left the city, which burned two years later. You can still see signs of the fire when you visit today. The early Mayans built Yaxha on a ridge overlooking a lake by the same name – Yaxha translates as blue-green water in the Mayan language. 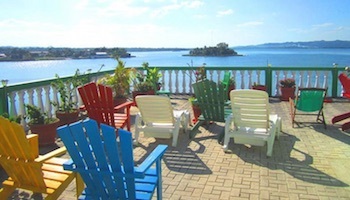 It’s located in Peten region close to the border with Belize. The third largest Mayan city in Guatemala, around 500 buildings, including nine temple-pyramids, have been discovered here. You’ll also find five acropolises, stelae and three ball courts. Surrounded by subtropical forests that are part of a nature reserve, Yaxha is indeed a picturesque place. 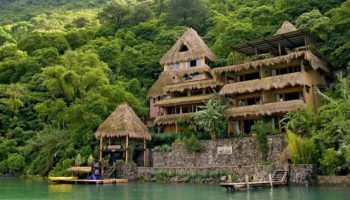 If you were a fan of Survivor Guatemala, you may recognize Yaxha since the series was filmed here. Located in the tropical rainforest of the Petén province, Tikal is the most famous of Guatemala’s Mayan ruins, and therefore the most visited. 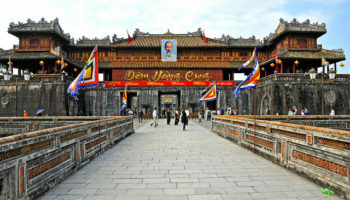 The site is awesome, with stunning temples and palaces as well as ceremonial platforms and remains of houses. Climbing to the top of one of these temples offers a great experience with beautiful panoramic views from above the tree tops. Tikal was one of the most important Mayan cities since it was the economic, political and military center of this pre-Columbian civilization. Monuments decorated with carvings and painted murals can be found in the core site; hieroglyphics tell the history of Tikal. 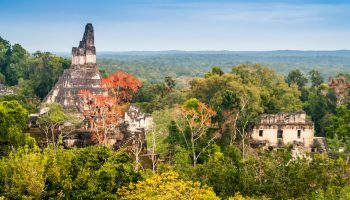 Tikal, one of the most powerful Mayan kingdoms, is a prime example of the sophisticated artistic, intellectual and technological talents of the Mayans. 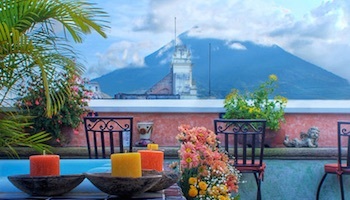 I’m currently trying to plan a trip for 2020 to Guatemala and was doing some research on different ruins to visit. Everyone knows Tikal but it looks like some of the smaller ruins are less impacted in terms of visitors and carry a lot of history as well. El Ceibal is one the newer ruins that as been discovered I believe. But was staying in Escuintla.